My fridge water line is leaking, not the line running from the wall to the fridge, but the line that is inside the fridge. The issue is the connection where the inside line meets the outside line. 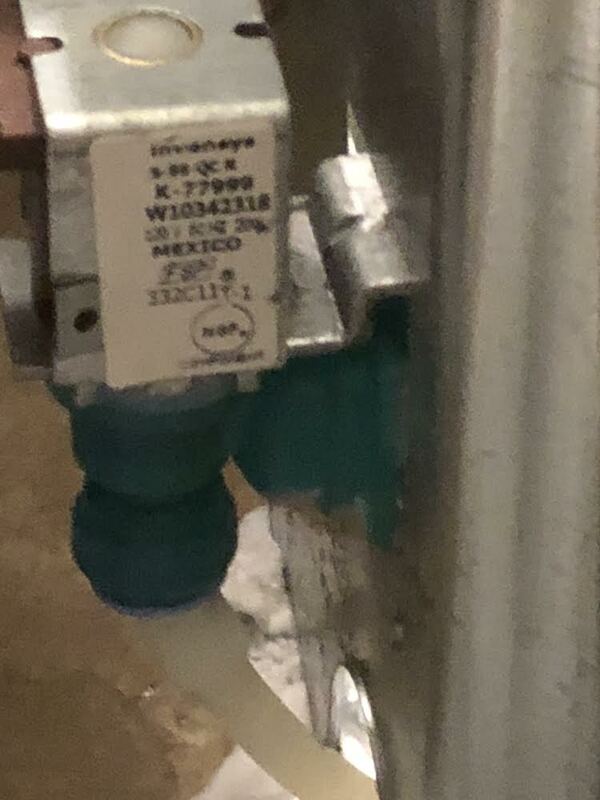 This is an image of where the issue is, the white tubing where it connects to the green is not connected very well anymore and water just sprays everywhere when the water goes through the line. What piece(s) are needed to repair this? Is this a refrigerator water hookup?